Get ready to Party Dance Style and floop some cards! 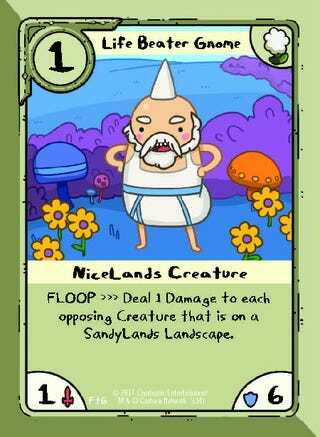 The Adventure Time Card Wars: For The Glory! Booster Set gives you over 100 new cards to crush your opponents using a slew of fresh card effects. Modify your decks from the original Collector's Packs with sparkly new cards from all across the land. With a focus on mixed Landscape decks, there's something for everyone… but watch out! Your opponents will be carefully inspecting your Landscapes and looking for a strategic advantage. Card effects based on the opponent's Landscape types will turn this game upside down.